What is Arch Linux? What are its best features? How is this rolling release different from others. This post aims to answer all your questions. If you follow me on twitter, or have subscribed me on Facebook, you must have known that these days I was busy with a Linux distro called Arch Linux. You must have been eager to know why this distro is different from other popular distro as Ubuntu, Fedora etc. Now before I give you the reasons as to why I chose Arch over others, let me first show you a few screenshots and some results as to what I have done with this distro these days.Start my PC, and you will be greeted with the following bootloader screen where you can select three different OS installed on my system, Arch, Ubuntu and Windows 7. 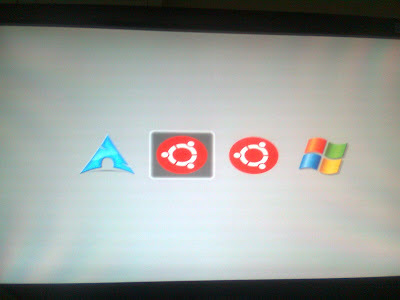 Compare this to the default OS selection menu of a popular Linux distro, I don’t need to say which one looks more good. Now you select Arch from there and you will be presented with a loading screen, which is also customizeable to your liking. You can change themes or create your own, anyway, this is mine default. The boot time takes less than 10 seconds to reach you to login screen. A few more screenshots below, like this is how my terminal looks. And this is how simply I install a software. Take a look that the package manager not only automatically resolves dependencies, but also gives you a set of optional dependencies that can enhance the program you installed. Also, package removal is also dependency dependent, which means if you remove a package, you will remove its dependencies also, thus you will have a clean system always. The package manager is simple, and doesn’t throws unwanted messages, but also powerful as it notifies you of things you need to do manually (like editing configuration files, etc) after an install or update. I can’t describe all the pacman features here, but I am sure you will be awed if you use it yourself. I agree that some (but not all) of the things mentioned above can be done in other distros, but that’s not my point. What I wanted to show here is that Arch Linux is highly configurable (and customizeable) to your needs, you make it the way you like. It gives power to you, to the user who is the sole owner of the system. If you are a system tweaker who wants a system like your choices, you will love it. Minimalist: You install things that you need, there is no software bloat. This means less memory, both of hard-drive and RAM is wasted. Light-weight: My whole system with Gnome 3 installed took a little less than 200 mB of RAM (176 mB to be specific). 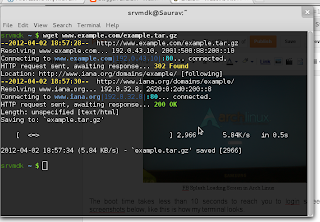 On a full fledged server and workstation (with LAMP installed), Arch takes around 400 mB of RAM. Compare this to latest versions of Ubuntu which takes > 300 mB of RAM for a default desktop. More RAM availible for the system means your system will be more fast and stable and you will be able to do multitasking easily. Stable: Consider this screanio. My system was on for a full one week without a reboot and Arch performed the same from beginning to end. This makes Arch capable of a server, though its not designed to be one. You will fall in love with its rock-solid stability. Rolling Release: Previously, I used to use Fedora, and for a little time, Ubuntu. The problem with these distributions is that they give out a new release every six months, and you must download and install it on your PC if you want to receive new updates and newer software. This meant I had to keep my PC on for a night to download the new release and then configure the system and install software for a full day or more. Obviously a sheer waste of time, data and energy. Arch Linux is a rolling release, which means it doesn’t has the thing called “releases” every few months. Rather, you keep the system up to date by issuing one single command and download the latest packages of your software. Thus your data, time and energy is conserved. State-of-art and bleeding edge software: Just a realistic example. KDE 4.8 and Gnome 3.4 were released a few days ago. If you were using Ubuntu/Fedora, what had you done? Maybe you had waited for the next release of your distro in which it had come by default, or had added a not officially supported PPA and tried to test in on your system and in most chances, break your system. In arch, we can update to the latest software and access all its new features as soon as it comes to the official repositories, we need not wait for a newer release of the distro, neither fear the breaking of our system. That’s what the magic of a rolling release is. 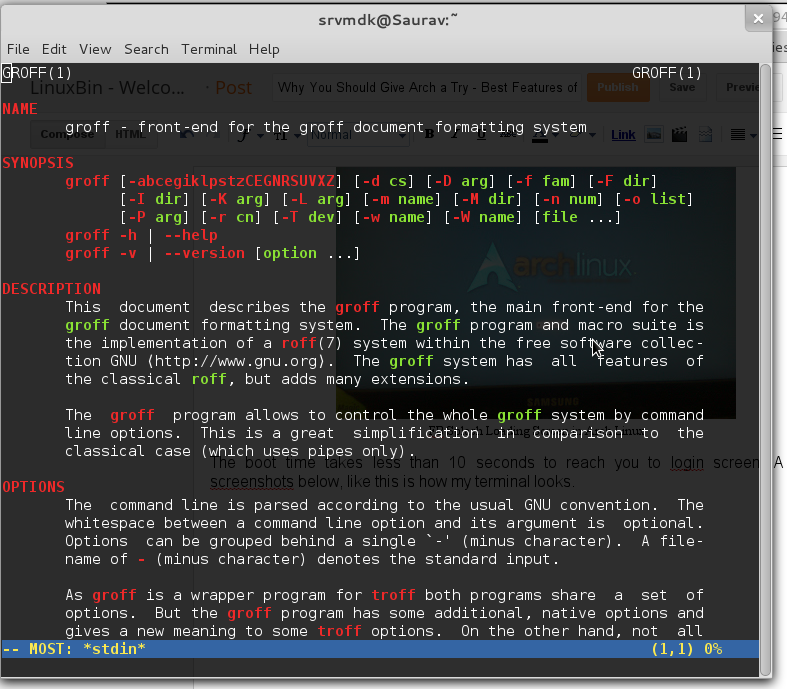 Simple: In The Arch Way‘s own words : Arch Linux defines simplicity as without unnecessary additions, modifications, or complications, and provides a lightweight UNIX-like base structure that allows an individual user to shape the system according to their own needs. In short: an elegant, minimalist approach. User Centric: Arch is not designed for a specific computer, rather, its designed to for a specific user – those who want to tweak every bit of their system and want the full power from their computers. Your whole system will be under your control, you will make it the way you like. Fast: Once Arch is installed, you will be amazed by the sheer speed applications open and work. As said earlier, my system boots up in 10 seconds and shuts down in 4. Customizeable: In other distros, you are presented with a out-of-box environment in which you get little choice to customize the system the way it looks and works. 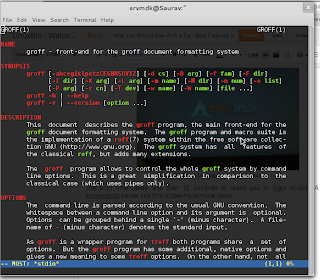 In Arch, you are presented with a default environment – a bash shell, and its you who decides what type of system you will have. The fun of making Arch Linux from CUI to GUI is comparable to building your own operating system. Its you who decides what type of software your computer will have, right from the drivers to the window manager or desktop environment. Every piece of software in Arch is ultimately your choice. One of the best community and the best documentation ever: People who use Arch Linux are competent Linux users who know about the system in detail and are ready and capable of helping you if you have any problem. In most cases you will not need help as everything is documented clearly in their wiki, which is obviously the best in this planet. If you are reading about Linux for the first time, you might be interested in reading best features of Linux as a whole. 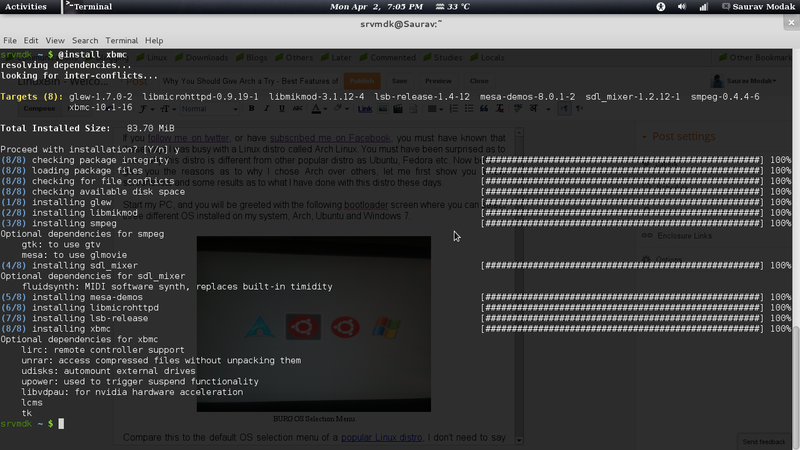 You may have been impressed by the features Arch Linux has, but sadly its not for every user. If you hate the command line: Remember that the default installation of Arch Linux is a command line environment where you will need to issue commands and build the whole system yourself. Don’t expect Arch default installation to run a GUI ready for your needs. If you are a noob: Arch is designed for users who love challenges and investigate about it, rather than whine about it and complain everything that they find bad. There are excellent documentation on the web and many hours have been used to create and maintain them. In most cases, your problem has been already answered, so better search about it and read the manuals before complaining on forums or IRC. If you don’t like Do-It-Yourself approach: You have to build the system yourself right from the command line to installing the desktop environment. If you don’t have time or desire to invest on it, Arch may not be for you. If you want an out-of-box operating system: If you need an OS with all bells, whistles and apps installed, consider installing Ubuntu instead. If you are not willing to learn : Installing Arch requires considerable amount of dedication and a little less considerable amount of time, as it has got a quite steep learning curve. Better don’t install it if you don’t have any of two. If you are a newbie: If you are new to Linux, chances are, in most cases, Arch is not the first distro suitable to start with. 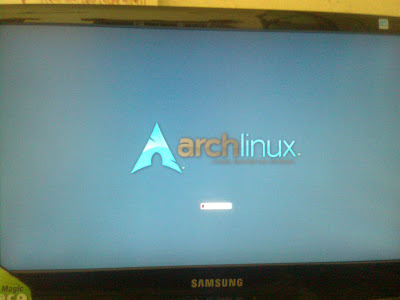 However, I believe, with willingness, dedication and some time, anyone can tame Arch and install it on their system. Try spending some time with other out-of-box distro before you move to Arch. However, if you are tempted enough to use it now, I will highly recommend installing it in a virtual environment. With this features and warnings, I hope you have got a brief overview of what Arch is and what it isn’t. The only downside of Arch is its a steeper learning curve and some time and effort to get it working. However, at the end, its worth it. 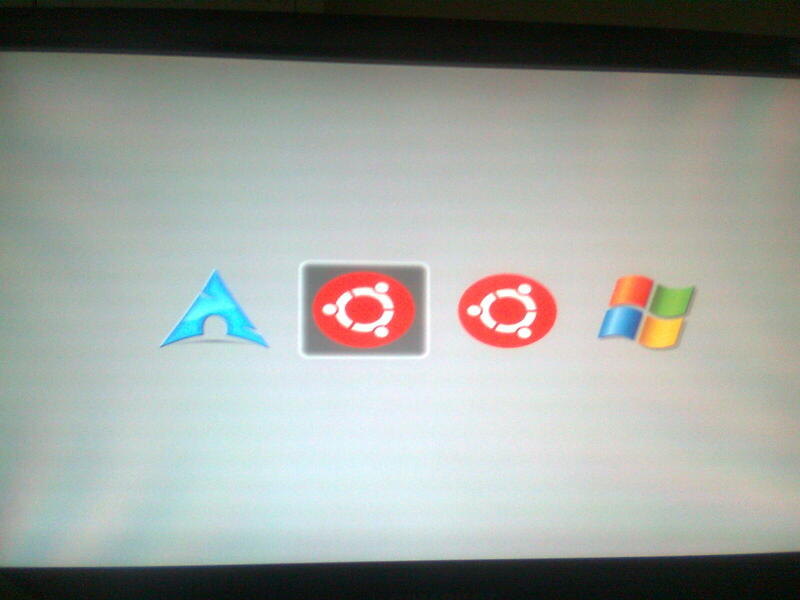 Also remember you need to install and configure Arch only once and it will work in your system until your PC dies. With this, I promise to write a series of blog posts here describing in detail installation, configuration and customization of Arch Linux, so it will be the best time to subscribe our free RSS feeds in a feed reader or by email. 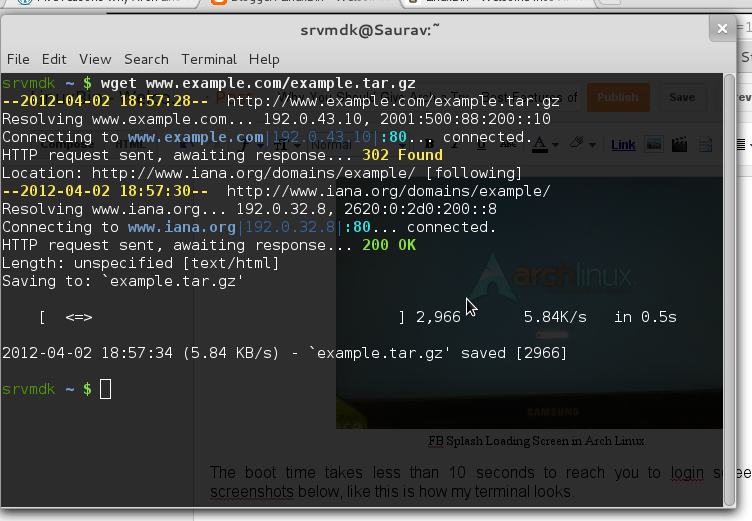 You should describe arch more deeply…..lackage on your infos and This nlog will not attract reader to ARch linux. Thanks for your wonderful feedback. I will surely try to implement what you said in my next posts. Be sure to visit again and share your views with us! Thats great! 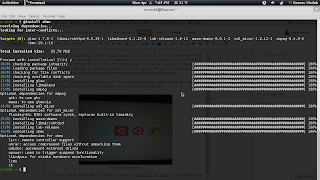 In fact I wrote and article regarding basic installation of Arch Linux which you can follow. I will write about installing Gnome in Arch soon. Now that i read you post Im going to try Arch hope I can installed in the first shot! P.S. Your blog is awesome keep doing good articles.